Mo Salah has become a much more ruthless player at Liverpool, according to Ashley Cole. Cole played with the Egyptian forward during his time at Chelsea, and the former England international admits that he has improved massively since then. Speaking on Sky Sports on Sunday (Sky Sports Premier League, April 14th, 16.15), he said: “I saw him in training and the ability that he had, but he seems to have become more ruthless. “I don’t mean selfish in a bad way, but he wants to score goals, and that’s his job, to score goals. Even when he plays with Firmino and Mane, they play well together, but I think he’s become a little bit more ‘it’s about me’. Pretty much everybody was caught off guard by just how good Mo Salah was when he signed for Liverpool at the beginning of last season. Compared the player who barely made an impact at Chelsea, he was an absolute revelation, it’s clear to see why so many people were surprised by the impact he had. 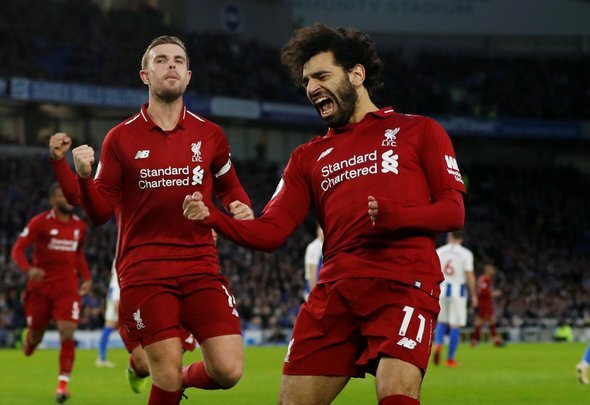 Even Jurgen Klopp must have been pleasantly shocked by the player he ended up with, and you do get the impression that his rapid progression was predominantly down to his own mental transformation. Salah went from a player accepting of his role as a bit part contributor, to one convinced of his right to score in every game he played. You cannot underestimate the power of confidence in professional sport, and last year, when his Midas touch was in full effect, nobody could get near Salah. That is the main difference between him now and during his time at Chelsea, and long may it continue.